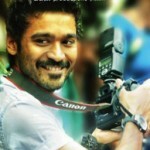 Actor Dhanush, Actress Richa Gangopadhyay starring Mayakkam Enna Movie Latest Stills. Mayakkam Enna Scheduled to Release on Sep 30th. Directed by Selvaraghavan and Music by GV Prakash Kumar.